Receive instantaneous feedback from a pro after each move. Learn new money-making tactics, and practice them to win pots and impress your poker buddies. 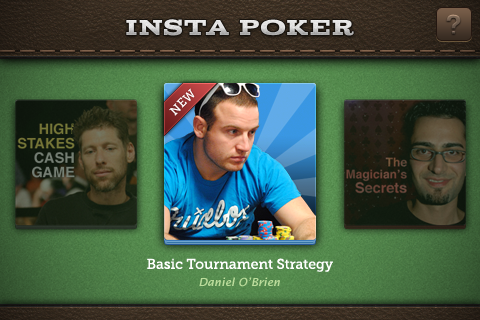 is the #1 poker training and coaching app on iPhone, iPad and Google Play. 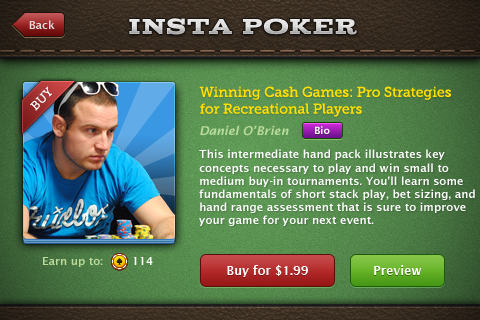 Insta Poker is FREE to download and includes FREE plays coached by poker pros. Additional plays are available through in-app purchase. It does not require a network connection to play. Improve your Hold'em skills and master poker strategy by playing challenging hands and receiving instantaneous feedback from well-known professionals for each decision you make. Win and score by making quality decisions, not by winning chips. Each move is scored based on the merit of the play and not on outcome. All game scenarios have been crafted by world-class professionals to demonstrate winning strategies. Insta Poker's pros include stars such as Antonio Esfandiari, Huckleberry Seed, Dan O'Brien, Jonathan Little, Amir Lehavot and Matt Berkey. Poker hands are packaged into Hand-Packs™, covering various aspects of Hold'em from low-stakes home games to major tournament events. Play for FREE an entire preview Hand-Pack! You can also PREVIEW a hand from each Premium Hand-Pack. No account creation, no network connection. Just start playing to improve your poker skills. Discover the secrets of celebrities such as Antonio Esfandiari and Huck Seed. 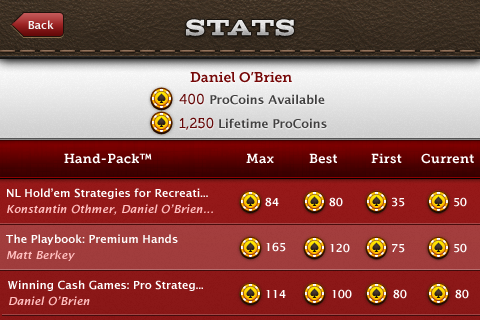 Earn "ProCoins" by making correct poker decisions. Use ProCoins to unlock Bonus Hand-Packs. Compare your score to your friends' and see who the best player in your group is. "I thought I knew a thing or two about poker but this app has shown me there's always more to learn." "Bought two packs. Three days later took 2nd in a very competitive weekly 7 table club tournament for $570. Can't complain about price when I am getting around 50 to 1 for my money." "Just went through the free hands, and love the advice. 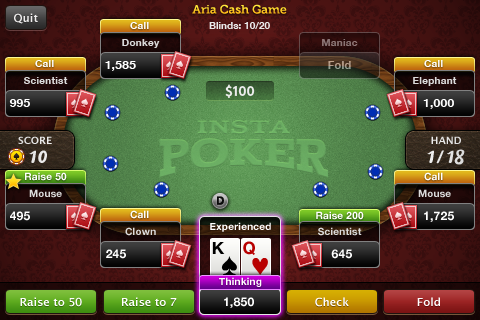 I think this App will be a great addition to my poker education." 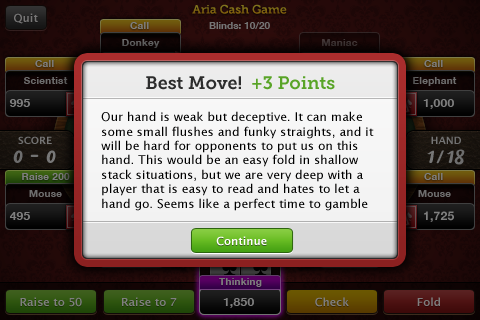 "Perfect poker training app. I almost couldn't ask for more. Much more useful than online/computer virtual programs. Any questions or feedback are also promptly answered. Worth every penny!" "Great app for reinforcing strategy concepts and making them second nature. The more hand packs you purchase the more replay value you gain. It's easy to memorize the right answers for ten hands but not 100." "For a few $$ you can learn from key pro hands and save yourself money in the long run." "This is one of my favourite applications. Fantastic learning tool. After using that application every day for the last month, I have won three local tournaments. Love Matt Berkey Packs. He is able to explain complex poker problems with amazing clarity and logic. He is real master of post-flop play. I found that application addictive."